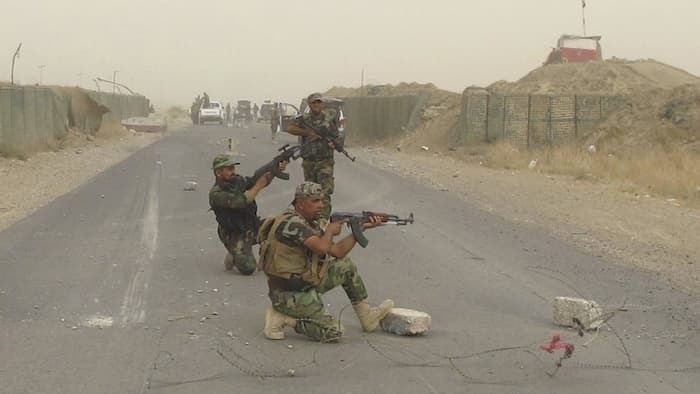 Iraq lost Mosul and the Governate of Nineveh to the Islamic State and has subsequently failed to oust the invading salafi-jihadist criminal gang because Iraq’s government is unstable and its military is so corrupt it cannot function as a fighting force. Baghdad, May 2, 2016 Despite the reassuring statements made by Washington following a recent late April sudden visit by US Vice-President Biden to discuss the “Liberation of Mosul“, the government of Iraq is unstable and in a de facto sense, out of control although it does not deny that Iran and its minions in Baghdad are pulling many strings. Fisticuffs is how Iraq’s Parliament too often debates but stability is now needed at a time when the country faces two provinces seeking autonomy; the Kurdish Region of Iraq seeking independence; and the country fighting the Islamic State which controls more of the county than Baghdad controls. This is the Iraqi parliament Wednesday April 13, 2016 following three days of overnight sit-in demonstrations by members of parliament protesting Prime Minister Haider al-Abadi’s proposed new cabinet which would rip control of government contracting and its accompanying kick-backs, payoffs and corruption from the existing infrastructure of outright graft and corruption. It is estimated by many pundits that the corrupt elements of Baghdad in a widely alleged hierarchy of thieves would lose billions (in USD). 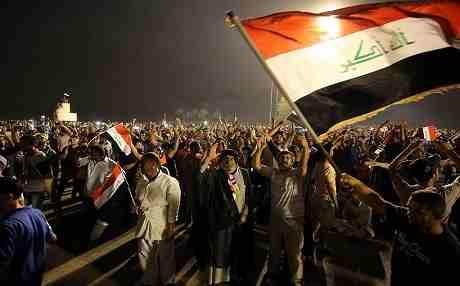 The fight in Iraqi Parliament followed calls for all of the country’s top political leadership to step down, including the Prime Minister. Speaker Salim al-Jibouri asked President Muhammad Fuad Masum to dissolve parliament in response to attempts by MPs to unseat Jibouri with high-level meetings now believed to be underway with Prime Minister Haider al-Abadi. This barely describes the complicated machinations and the interplay between multiple factions in the Iraqi parliament which members have been feeding from the public trough since the first parliament began. 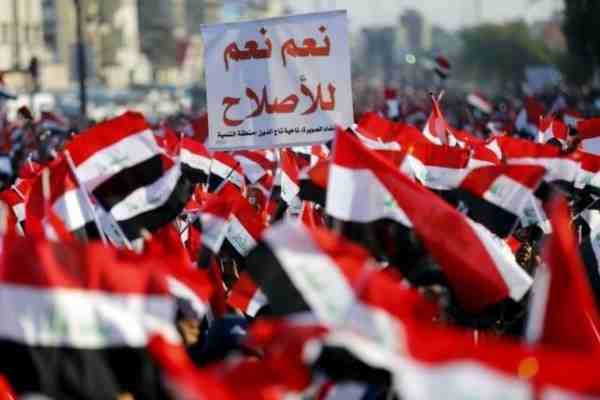 According to Iraq’s constitution, a dissolution can only take place if the majority of MPs agree to a request by at least one third of the assembly, or at the request of the prime minister on approval from the president. The dissolution of parliament comes at a time when the country is facing war, corruption and a huge budget deficit. 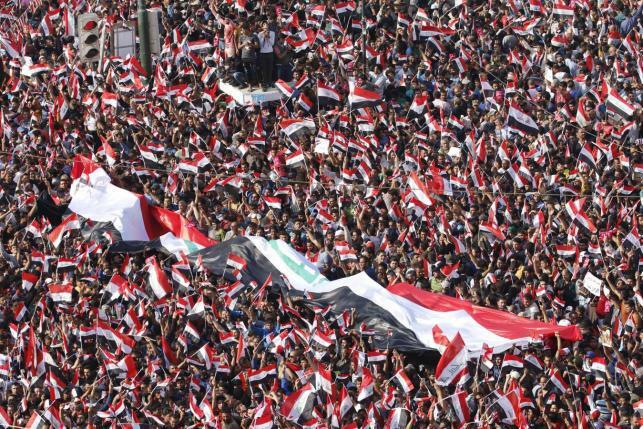 Meanwhile, on April 30, 2016 the powerful Shiite cleric Muqtada al-Sadr who has led more than a few revolutions in Iraq in the past 20 years, rallied thousands of protestors to storm the Iraqi parliament. al-Sadr said he was dismayed that government reforms had not taken place in the past year as promised and that he was tired of a corrupt government that would not act on its promise of throwing out corrupt ministers for technocrats – warned he could “destroy” the government on a moment’s notice. 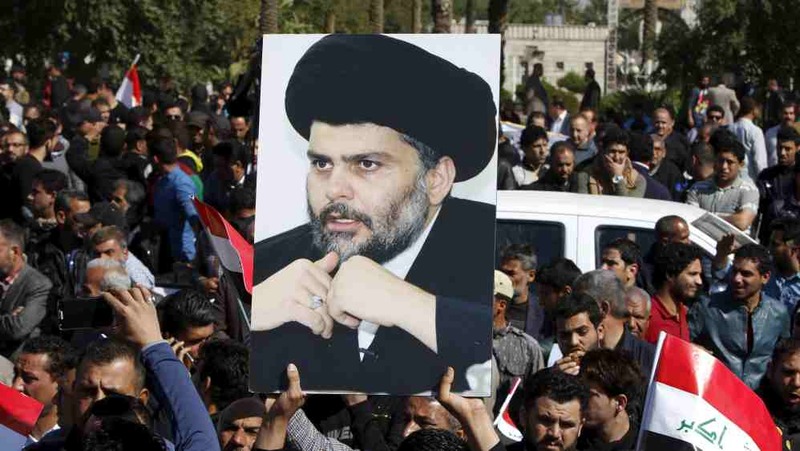 Powerful Shiite cleric Muqtada al-Sadr leads a demonstration against Iraqi Parliament Saturday, April 30, 2016 — al-Sadr has threatened to destroy the Iraqi government in Baghdad. Weilding the power in Baghdad is Cleric al-Sadir. Shia militia fighters loyal to cleric Muqtada Sadr on patrol in Salahuddin province in Northern Iraq.